"Is he the person you were talking about?" The female Berserker and her two male companions shifted their gazes towards Shi Feng. The young man wore a Black Cloak and silver armor. From his waist hung two exquisite longswords, one white and one black. Every one of his movements felt natural and graceful. His actions lacked any awkwardness, so much so that, if they did not focus on this young man, their minds might ignore him altogether. Moreover, the young man did not give off the familiar pressure they usually felt from experts. On the contrary, he felt safe and relatable. As Shi Feng made his way through the bar, players seemed to move out of his way as if trying to avoid him intentionally. It was as if they couldn't sense Shi Feng's existence. It did not take long for Shi Feng to move through the crowd and reach the party. "Big Brother Ye Feng, you've finally arrived! We were just talking about you!" Blue Bamboo said, giggling. "Let me introduce you. "This great beauty is Autumn Goose, this gentleman with the beard is called Death Wind, and this handsome man is Gunfire. They are members of Wind G.o.d's Spear." "h.e.l.lo," Shi Feng said, smiling as he looked at the three people. Inwardly, however, he was surprised. He was familiar with the name "Wind G.o.d's Spear." The name belonged to an independent organization similar to the famous Midnight Tea Party, and it based its operations in the Dark Night Empire. Independent players that disliked the restriction of Guilds and preferred adventure would usually form independent organizations to conquer certain quests that could not be completed alone. Among the independent organizations in the past, Wind G.o.d's Spear had been relatively famous. This organization had once completed several Legendary Quests. Legendary Quests were difficult enough to give even Super Guilds pause, not accepting one unless they were extremely confident in succeeding. However, the Wind G.o.d's Spear contained countless players who would not hesitate to take up the challenge. To put it simply, they were a bunch of lunatics with no fear of death. When everyone had believed that the organization would fail, the Wind G.o.d's Spear shattered these naysayers' beliefs, completing one Legendary Quest after another. Aside from those who loved to challenge deadly quests, the Wind G.o.d's Spear also contained players with a furious love of battle. As for the three people before him right now, Shi Feng had heard of two of them before: the Shield Warrior Death Wind and the Berserker Gunfire. Both of them had taken part in a Legendary Quest in the past. Even an apex expert of G.o.d's Domain would not have more than a 20% success rate against a Legendary Quest. Meanwhile, these two had completed a Legendary Quest before. Their abilities were unquestionable. They were extremely powerful. Shi Feng had thought that Thoughtful Rain would, at most, have a few ordinary elite players accompanying her. He had never imagined she knew such experts. If an elite party tried to complete the Silver Legend quest, even if they succeeded, their completion rate would not be high. However, with this group, achieving a high completion rate would be a piece of cake. Just who is this girl? Curiosity overwhelmed Shi Feng as he shifted his gaze towards the quiet Thoughtful Rain. The first time they met, Shi Feng felt as if he had seen Thoughtful Rain before, but he couldn't recall meeting her elsewhere. She felt both familiar and unfamiliar to him, yet he couldn't remember an expert named Thoughtful Rain in G.o.d's Domain during his previous life. Meanwhile, now that he met Thoughtful Rain again, both her aura and strength had undergone a heaven-defying change. If she continued to develop at this pace, she would definitely become more than an ordinary expert. Moreover, with the fact that she knew members of the Wind G.o.d's Spear, it was even less possible that she had been an unknown ent.i.ty in G.o.d's Domain in the past. "h.e.l.lo," Autumn Goose and the others returned Shi Feng's greeting. "It seems that Blue hadn't been exaggerating. If we can have an expert like you with us, we should be able to complete this quest with ease." They had not expected that Zero Wing also had someone like this in its ranks. To ordinary players, Shi Feng was an ordinary young man. However, they were neither ordinary players nor ordinary experts. After hundreds of life-and-death battles and overcoming their limits, again and again, not only had they cultivated a beast-like intuition, but they had also gained the ability to distinguish the strong. True experts would only reveal their domineering auras when displaying their strength. Normally, their auras would remain hidden. Their auras would appear to be as calm as the great ocean, unperturbed regardless of what was thrown at them. Others would find it hard to generate hostility against someone with such an aura. Without a doubt, they noticed this about Shi Feng. Shi Feng was a true expert. He was far beyond the ordinary experts they usually encountered. "Big Brother Wind, who is this guy? Why haven't I heard of someone named Ye Feng in Zero Wing before?" Autumn Goose could not help but ask the Shield Warrior through a private chat as she evaluated Shi Feng. "I'm not sure, but based on our information on Zero Wing, aside from Black Flame, the Guild's experts are subpar at best. However, I expect no less from the upstart Guild that defeated the Star Alliance. The Guild has even constructed a Stable. Zero Wing's strength is truly unfathomable," Death Wind laughed. "It is good that Rain has joined such a Guild." "Indeed. While we still have a headache over our Mounts, both Rain and Blue can obtain a Guild Mount of their own as soon as they reach Level 40," Autumn Goose responded enviously. "What's so great about Guilds?" the Berserker Gunfire snorted. "How can they compare to the freedom we enjoy? We can move about G.o.d's Domain unrestricted. We also don't have to work under anyone. Weapons, equipment, rare Skills, or Mounts, whatever these large Guilds can get their hands on, we can, too!" After they had joined G.o.d's Domain, Guild players had often sought them out to cause trouble. The various large Guilds occupied all of the valuable leveling areas. Hence, they had formed the Wind G.o.d's Spear. Not only had they fought the various large Guilds in the Dark Night Empire, but they had also made these Guilds suffer abundant losses. Pampered Guild players could not compare to the hardships they faced. Neither Death Wind nor Autumn Goose refuted Gunfire's words. Their hatred of Guilds had been precisely the reason they had joined Wind G.o.d's Spear. Now, they would never bother with joining a Guild. "Since everyone's here, let's head over to the Crystal Forest," Thoughtful Rain said as she invited Shi Feng to their party. Moreover, she had even pa.s.sed the party's leadership to Shi Feng. No matter how he looked at it, Death Wind should be the party leader as he was the most qualified for the role. Death Wind possessed a wealth of leadership experience. He even had completed many advanced quests before. He was the best choice. However, since Thoughtful Rain had invited them, it was up to her to choose the party's leader. Arguing against it would be inappropriate. 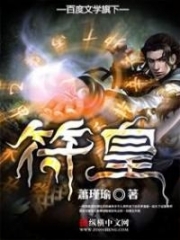 Following which, Shi Feng and the others headed to the Teleportation Hall and teleported to the Crystal Forest. The Crystal Forest was a small Level 40 to Level 50 map. However, the terrain was complex. The monsters here also had high Defense and HP. As a result, very few players were willing to level up here. Taking a look at the quest details Thoughtful Rain had sent him, Shi Feng looked towards the distant cave and said, "That should be the place." Close to the cave entrance, over a dozen Level 43 Special Elite Crystal Giants roamed the area. Meanwhile, a ma.s.sive Icefire Cheetah slept a short distance from the cave. This Icefire Cheetah was a Level 44 Lord. It would slaughter an ordinary party easily. Heh, let's watch you make a fool of yourself. Gunfire inwardly sneered as he watched Shi Feng. The Silver Legend quest was extremely difficult. Even with Death Wind leading them, their party would be hard-pressed to complete the quest. Hence, it was impossible for a pampered young master like Shi Feng, who had only completed a few high-difficulty quests, to succeed here. You're Read Reincarnation Of The Strongest Sword God Chapter 804 - Wind God's Spear online at NovelOnlineFull.com. You can use the follow function to bookmark your favorite novel ( Only for registered users ). If you find any errors ( can't read,broken links, can't load photos, etc.. ), Please let us know so we can fix it as soon as possible. And when you start a conversation or debate about a certain topic with other people, please do not offend them just because you don't like their opinions. You're reading Reincarnation Of The Strongest Sword God. This manga has been translated by Updating. Author(s): Lucky Cat. Already has 1768 views. Current Time is 25-Apr-2019 13:49:40 PM.